No this is not the end. It really is just the start of the next chapter. What I have learned from the last 6 months has been amazing. I have finally found my direction. I can now see when I am in and out of harmony with the universe. The lessons are invaluable. When I notice I am out of harmony with universal, I can always go instantly to my self talk and recordings. Without the guidance of Davene, Mark and Trish on the webinars I would have been lost. It is a new world and I am in the center of it. Today I control my destiny, and my destiny is to become the greatest salesman in the world! I will become master of myself. I will become great. I am the creator. My dreams I know will happen through the service I give. I have seen what that service can do in the last 6 weeks and it has been an eye opener. I will keep moving forward and keep moving on. March 30, 2014 in MKMMA. Hi Brian, I love your line: I can now see when I am in and out of harmony with the universe. The lessons are invaluable. 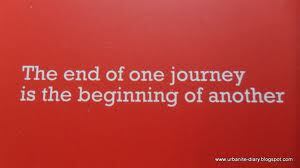 This MKMMA journey is truly one of a kind! Love it all the way! Master Po: “Will you walk with me, Grasshopper? Master Po:”To you, to me, perhaps. Not worthless to him.”.